Createspace Independent Publishing Platform, 9781535021586, 378pp. In sixth-century Ireland, books are rare treasures. Aine, a young woman unwillingly pledged to marry, believes the book is a talisman with the power to change her circumstances. When she steals it from her betrothed's clan, desperate to use it to help her mother's impoverished people, events tumble out of control. 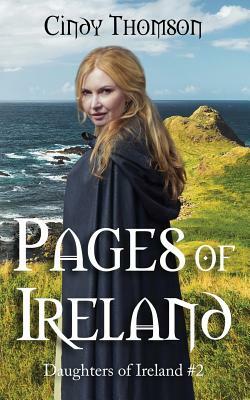 She seeks help from Brigid, the woman who rescued her long ago, but doing so puts an entire monastery at risk as the king deploys his army to get the book back. The formerly banished druid Ardan hopes the book can be traded for revenge, but a mysterious force curses him with a reoccurring mark in the shape of Brigid's famous reed cross. Is it the power of a vengeful god or the command of the book that is causing his anguish? While many seek to possess the book, it appears to choose who will hear its words. No one in Ireland will know the power of the words written on its pages if the book does not survive the battle.